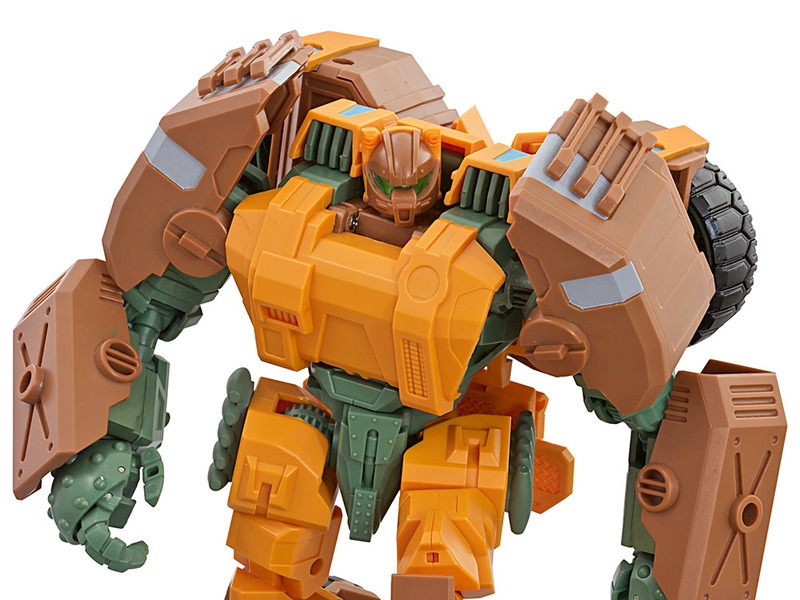 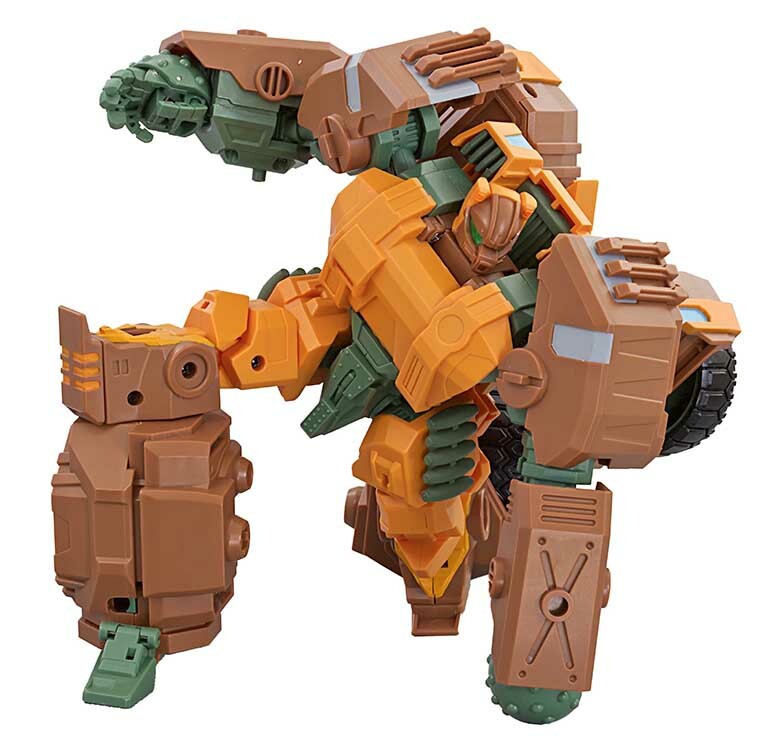 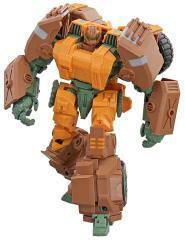 Dicamus stands 8” tall in robot mode and transforms into an armored vehicle. 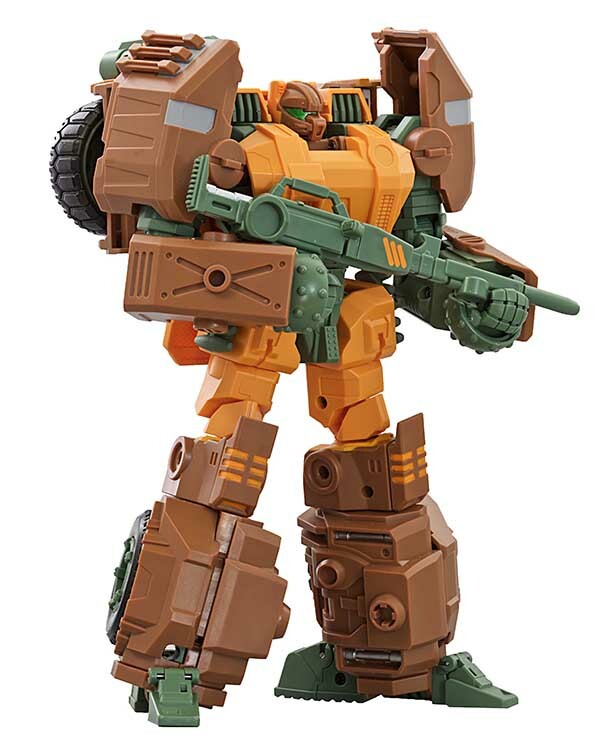 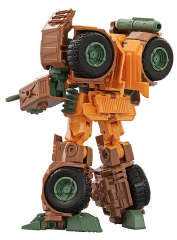 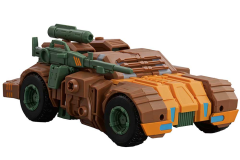 Dicamus features PVC tires and is armed with a high powered rifle and grenade launcher. 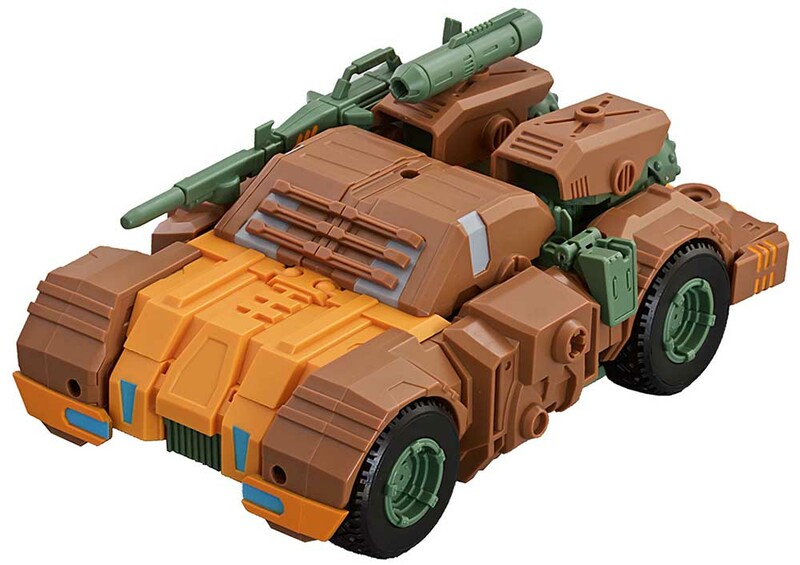 The grenade launcher can attach to the rifle, should or back pack of Dicamus and also become the fender in alt mode. 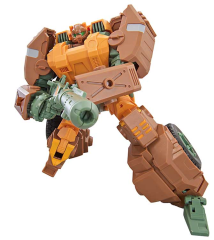 In addition the fist of the robot can transform into a mace for melee fighting.